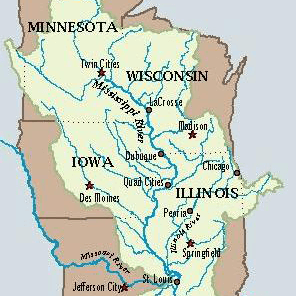 In order to pursue better use of biological assessments, the Upper Mississippi River Basin Association's Water Quality Task Force initiated a project in 2009 to develop a Clean Water Act Biological Assessment Implementation Guidance Document for the interstate portion of the Upper Mississippi River (UMR). At present the UMR states utilize chemical data to assess the condition of the UMR as it relates to aquatic life goals and uses. However, the states wanted to evaluate the benefits and challenges associated with integrating biological data along with the current chemical and physical data into a unified assessment. This Implementation Guidance Document provides methods and data for accomplishing the integration of biological assessment into their respective CWA programs for the interstate and Minnesota portions of the UMR. 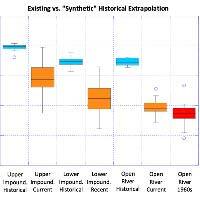 The document is also focused on the UMR main channel (as opposed to adjacent aquatic habitat strata) and is scoped to evaluating existing methods and indices, rather than developing new ones. The first set of tasks identified potential impairment thresholds for the UMR main channel which were then used to determine the attainment of aquatic life uses. To that end, we conducted a preliminary assessment of the derivation of biological thresholds for review by the UMRBA Water Quality Task Force (WQTF) in January 2011. 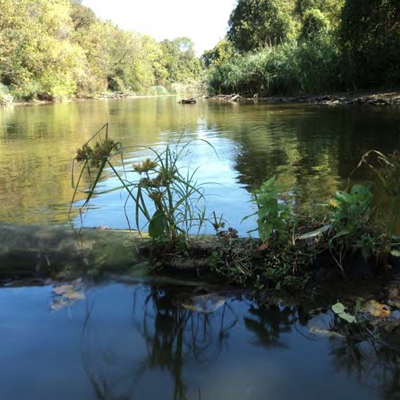 While this step was not anticipated in the original project work plan, it proved crucial in making progress in the development of the Implementation Guidance and also provided an initial CWA biological assessment of the UMR. "Development of a Biological Condition Gradient for Fish Assemblages of the Upper Mississippi River and Development of a 'ynthetic' Historical Fish Community."